Create stunning backgrounds, wallpapers, posters, logos, icons and avatars. 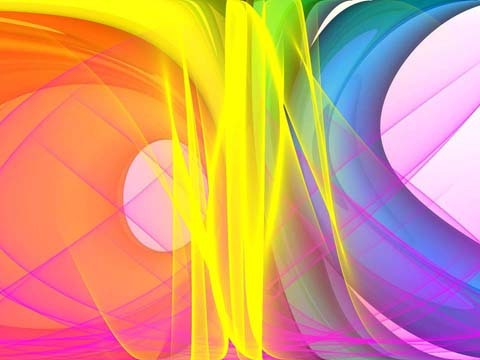 Imagine what AbstractCurves can create for you! 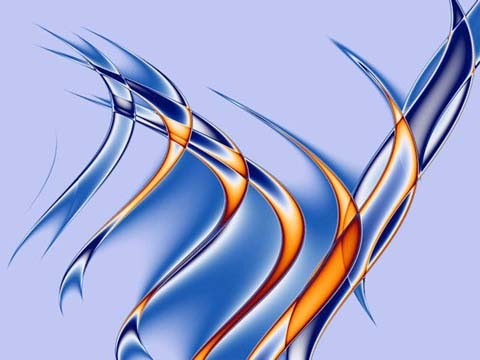 For more, view our larger full screen gallery of AbstractCurves creations. 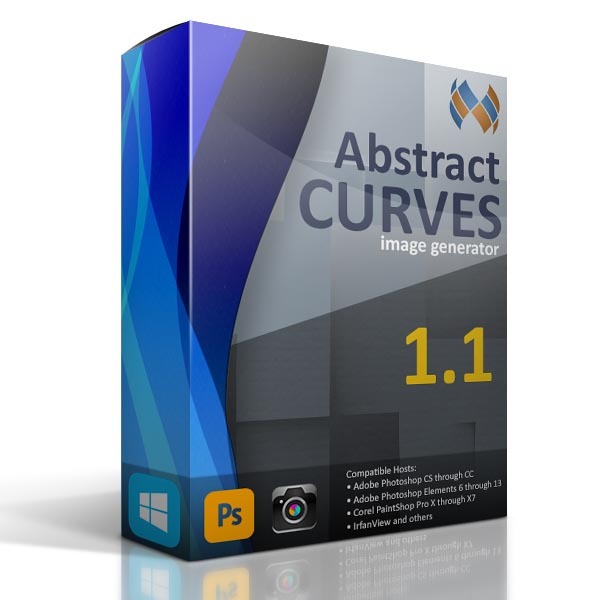 AbstractCurves is a unique graphics design tool which automatically generates one-of-a-kind images so that you can add fantastic effects to your photographs and commercial artwork with ease. It allows you to easily create stunning wallpapers, posters, images, logos and avatars in just a few minutes, all without a steep learning curve. You will find yourself getting lost in the program, as the potential for inspiration is limitless. Try superimposing the images you generate onto your own photos using the Transparent Background option and create logos, icons, avatars, etc. 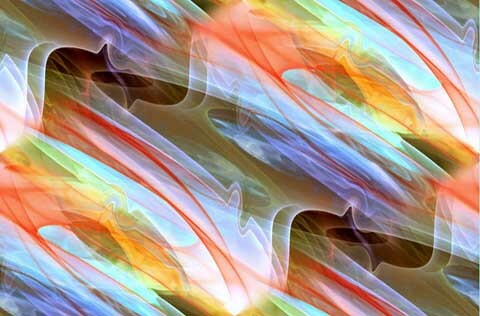 This ensures that any images you wish to use or sell as backgrounds, wallpapers, icons or within your graphic media will be unique to you, the designing artist. For even though the program paints with magical brushes, you're the one who determines the final masterpiece. As it is clearly difficult to imagine the unimaginable, we've set up several examples as starting points for your inspirational trips into the unknown abyss of creativity. Not only can you create an unlimited number of effects, you have the ability to create and save your own presets. We start you off with over ten galleries with no less than 130 built-in presets. 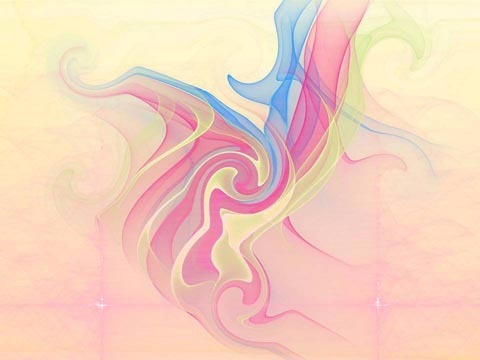 You can choose any color for your generated image or your background. Along with the ability to use over 30 built-in color palettes with over 7000 colors, you can also create and save your own palettes and color themes. Once you get going, you will realize that the odds of someone both creating and saving the same image as your own masterpiece will be over a billion to one. There's even 16-bit image support. The stand-alone has a sophisticated and professional feel. The fun little program also works as a plug-in for my favorite graphic software. 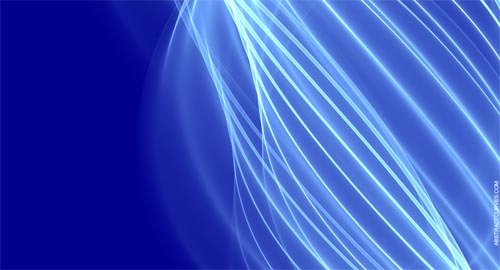 I played with the interface a bit in Photoshop CS6 and find it very easy to use. It will save time looking to download, or having to create, backgrounds. One should like to paint like a man who has never seen a painting. Thanks for the beautiful filter, I love it for backgrounds and for special effects without the background. Been making myself some amazing icon packs and tiles, not to forget all the social media formats. 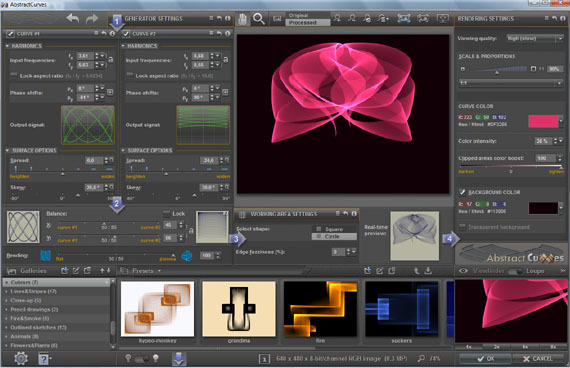 Good quality software, recommend it to all. Art reaches its greatest peak when devoid of self-consciousness. The software does an incredible job creating compelling images for those who want great wallpapers, posters and images, but don’t want to spend much on software. 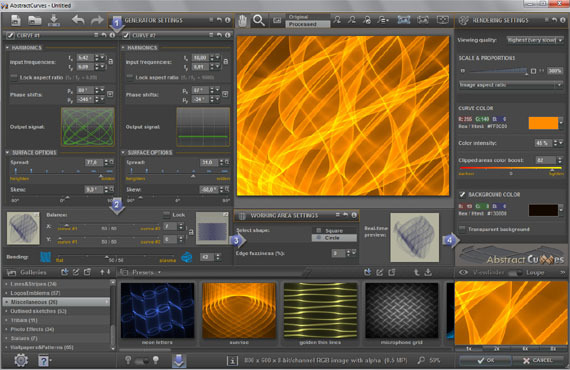 A complex and reliable application that enables you to design artistic wallpapers using the numerous available effects and filters. I've only scratched the surface of all of the artwork I can create with this unique CorelDRAW / Photoshop plug-in and I can already see that I’ll be using it regularly in projects going forward. 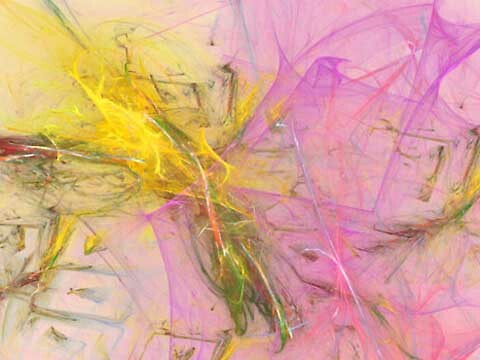 See the masks I created using AbstractCurves, which has lots of features and works as a PSP plugin or a stand-alone program. Have fun with it. Absolutely love your program! $20 is a steal. The best part about your program is it is compatible with other digital art programs, and flexible too! Infinite options for backgrounds. In combination with Photoshop layer blends, unbeatable. One of very few apps where I feel one is getting genuine value for money. Works quite well with plenty of options for flame type art. I rarely, if ever, comment on a program but this program is imaginative, easy to use and has superior quality graphics. This is a brilliant piece of software. The program is loaded with amazing levels of control, yet the multitude of options are laid out in an elegant and logical way. I love this program. It's a lot of fun creating stunning images. I've used it to create backgrounds, headers and logos for my website. The images fit beautifully, do not repeat, and allow for smooth scrolling. Very easy to use, lots of nice examples, and the option to save with a transparent background in .png format too. 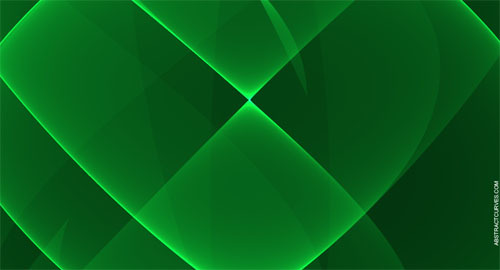 Extremely useful to create a background for a logo. Thank you for creating this very interesting program. 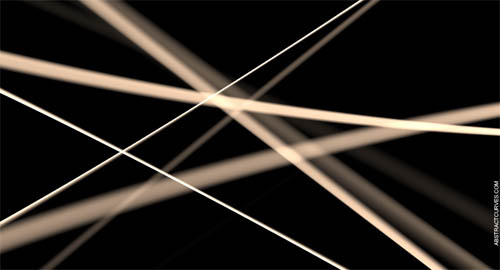 I cannot tell you how much I have spent on abstract wallpapers for my PowerPoint .ppt presentations. Now I can make them myself! 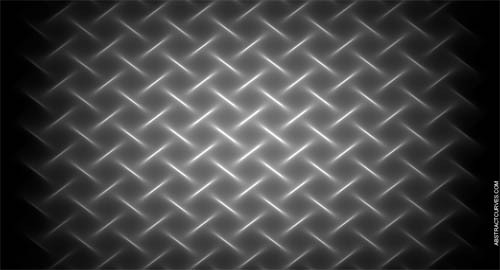 I've used Starfish and ImageSpace (which are two freeware projects to generate wallpaper / backgrounds), but I've gotta say your program really gives life to the rendering. When I print your designs on paper, it creates the perfect wrapping paper.